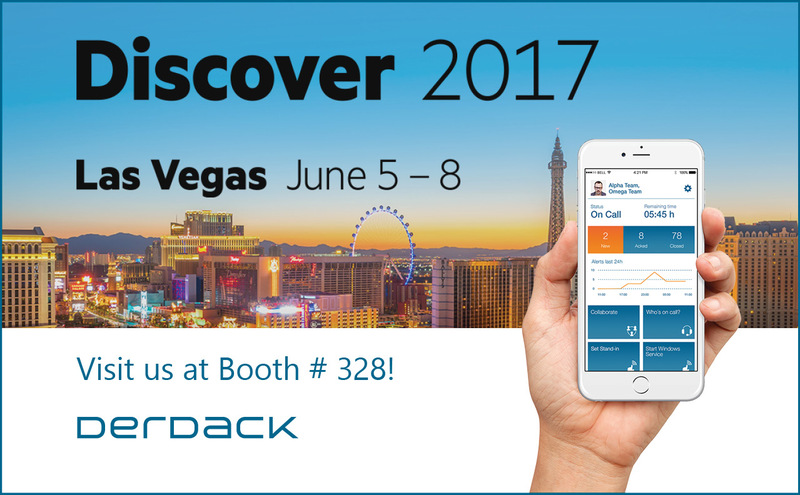 Join us in Las Vegas and see the leading HPE-certified solution for targeted alert notifications and anywhere incident remediation. Derdack shows live how to enhance your HPE ITOM and ITSM stack for a 10x faster incident resolution. Learn how leading organizations in the US like Boeing have taken their incident handling processes to the next level and became faster, more agile and mobile in responding to major and critical incidents.